Although floor refinishing is a multistep process, it’s not the time-consuming ordeal that replacing your floors will be. In most cases, professionals can complete a refinishing project within three days. If the area being refinished is very large, the process should take about five days. Either way, you’ll have beautiful-looking floors within a week. 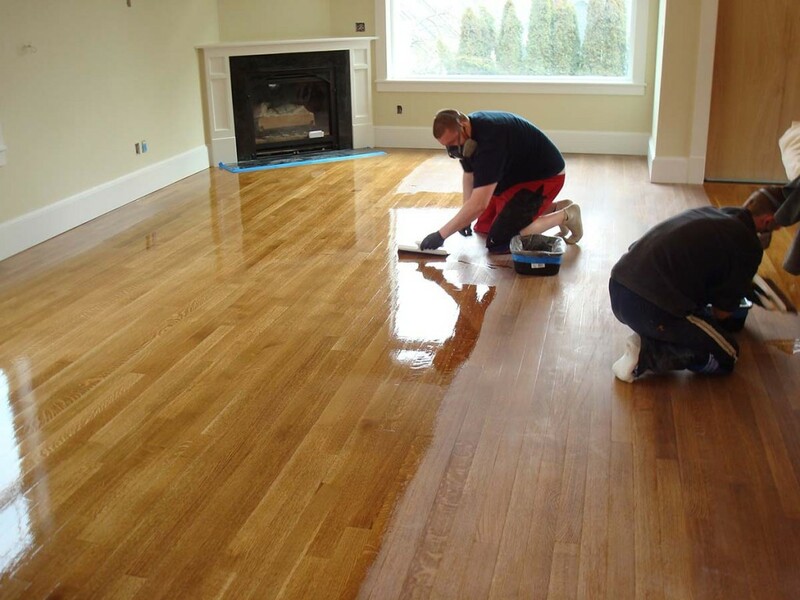 When you refinish your floors, you’ll have the option of changing their look completely. Floors can be re-stained as they’re refinished, allowing for dramatic changes in appearances. You’ll be able to choose the floor of your dreams without having to pay for brand new floors. Refinishing provides you with all kinds of new options. Replacing flooring is a major expense, one that most home owners can’t afford. However, refinishing is extremely affordable. Although the rates we charge vary based on the size of the home and condition of the flooring, you should find our prices very reasonable. If you’re interested in having your floors re-done, contact us for a price quote. Refinished floors can have a dramatically change a home’s overall appearance. Dingy floors will once again shine, and scratches will disappear completely. All of this can increase the value of a home tremendously. In fact, refinishing can often increase a property’s value as much as adding brand new flooring would. When floors are old and worn, they’re more susceptible to damage. Old wood can splinter, which can injure people as they walk across your floor. Old wood is also more likely to be infested by termites and other common pests. However, refinishing will strengthen your floors and help keep them safe. Pests won’t be able to invade your home, and your floors will be splinter free. You’ll be able to walk across your floors in peace. If you’re unhappy with the appearance of your floors, contact us and ask about refinishing today. We’ll be happy to meet with you and see what we can do to restore your floors to their natural glory.